Thanksgiving and Black Friday officially kick off the Holiday, and subsequently the gift-giving, season. I often like to publish lists like this, that will help you shop for the web nerd (or just nerd) in your life, and 2012 is no different. With all kinds of new services, gadgets, and toys, 2012 is a great year to be a nerd! Here are some of my recommendations. I recently purchased a Nexus 7 and absolutely love it. It’s small enough to use with one hand, but really great for watching videos. I use it more than my iPad (3rd generation). However, if you are looking for a bigger tablet, Google also released a Nexus 10, and a Nexus 4 smartphone to boot. These devices are great and the price points are fantastic. Plus, they are great for testing, reading, or just geeking out. I cannot recommend these books enough. I have all of them, and still need to read a couple, but I’ve learned an incredible amount from them. You can pick up the whole series using the link above or pick and choose the ones you want to start with. These are a necessity for any web developer’s bookshelf. This is bar-none the best web development magazine in the world. For us stateside it’s a little pricy but well worth it. You’ll get the latest news, recommended tools and techniques, interviews, and more. My favorite section is the website build-off, where 3 designers get a type of site (college, ebook, etc) to build. They then explain their decisions. 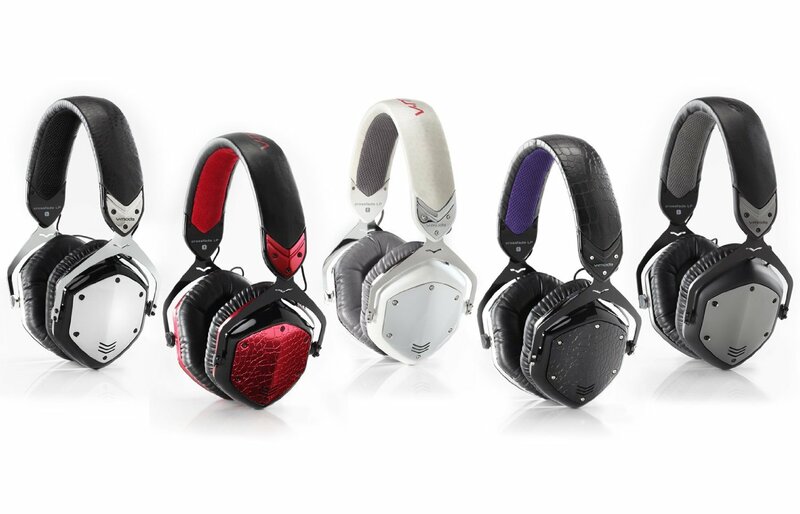 The ones I link to/picture above are the V-MODA Crossfade LP Over-Ear Noise-Isolating Metal Headphones, which I picked up in August and I love them. I can’t hear anything while using them, they fit comfortably, and include a really nice carry case, as well as interchangeable wires for standard headphone jacks and amplifiers. As a web developer I usually carry around a bunch of gadgets, my laptop, notebooks, pens, pencils, etc. so I, like most developers/designers, need a good bag to lug that stuff around. I just picked up the one above and I love it. It’s reasonably priced, durable, and there is a ton of room. This makes for a great and thoughtful gift! Alternatives: Â If you’re looking for something more high end, I’m a Fossil faithful and would recommend the Fossil Estate Messenger. I really can’t recommend this enough. Access to new music every week, no commercials, and mobile support to boot. This is absolutely perfect for anyone who sits at a computer all day. Related: Taking a break once is a while is a good thing too. Netflix and Hulu+ (includes a free 2 week trial) are both really good for that. So this one is a bit more abstract as everyone gets inspiration from different places. I saw a fantastic talk by Meagan Fisher (@owltastic) recently where she mentioned where she gets herÂ inspirationÂ and it lead me to buy some none-web related books to use when looking for that stroke of genius I so desperately need. Meagan recommends Posters for People: Art of the WPA. Lately I’ve been looking for inspiration through architecture, but in general, here are a couple of books I would recommend. I love accessories for my gadgets. Here are some that I would recommend for varies devices. I hope this list is helpful! If there’s anything recommendations you’d like to make or anything you think I left off, feel free to leave your thoughts in the comments section!